For what it's worth, HAPPY CHINESE NEW YEAR EVERYONE! Wishing you all happiness, success, luck, prosperity and health this year! Re: Happy Chinese New Year Everyone! Ok, so there are 102 views of this post, made today. Unless Scepcop is clicking it constantly I don't think the 5 or so regs have made up most of those views! Where are you guys? Why lurk? join in the discussion! 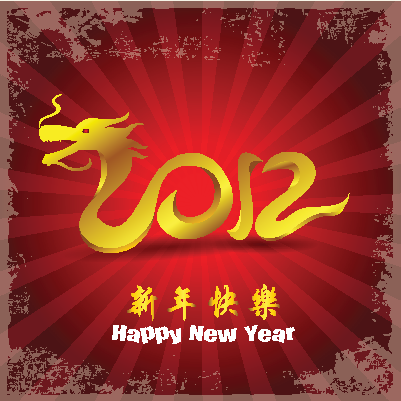 Scepcop wrote: For what it's worth, HAPPY CHINESE NEW YEAR EVERYONE! Wishing you all happiness, success, luck, prosperity and health this year! "I don't get something. What is the logic behind celebrating a "New Year"? I think this is one of those things where people celebrate it because "everyone else is doing it". But if you think about it, there's no logic behind it at all. I mean, an additional digit on a calendar year is not any sort of "event" that is happy or unhappy. It is not a positive or negative event. And it is not any sort of accomplishment to be proud of either. So why celebrate it? It's understandable to celebrate some happy event, accomplishment, or new deal. Those are merits to celebrate. But just because a number moves in a calendar? If you think about it, there's no logic or reason behind it. It's an empty excuse to celebrate and party. Society ought to think of better reasons to celebrate things. Obviously, New Year is way overrated and devoid of any substance. What is so happy about a New Year? One has no idea what a "New Year" will even bring. So how is it a "positive event"? It isn't. It makes no sense. Hey there ProfPartyPooper. I'm not sure but nobility never needed a reason to celebrate but I'd bet a buck three sixty that the peons of the land appreciated the day off. More to the point.... I can understand celebrating the equinoxes and the occasional solstices and all but who picked Jan. 1 as the start of a new year? Who decided how Chinese New Year gets started and what's up with those animal years? ProfWag wrote: Ya' know Ninja, I was looking at that post that appeared to be from me and I'm like "what the hell is that? Just curious, did the entire world wake up this morning and say "Hey, let's pick on Wag today!" As a matter of fact, I do recall seeing something about this being pick on your favorite Prof day. Either that or it's the full moon and those solar flares. Happy new year from me and i also wish that may this year will be more prosper for every one and bring the many more happiness and healthy for every one. Chinese New year celebratory all Chinese friends with all over world. i am like this festival in china . Is New Year’s Eve a big deal for people celebrating the Chinese New Year? I have been to some of the best NYE party and we New Yorkers sure know how to party! Last edited by NinjaPuppy on 02 Aug 2014, 02:32, edited 1 time in total.